For almost every batch of cookies I make, I save and dry out a few to keep as demonstration pieces for the occasions I teach decorating. You may want to hold on to a few cookies you’ve made as mementos, or you may have received some you’d like to retain to remember a special event by. Either way, there are a few things you can do to help ensure the cookies are properly stored. Trial and error over the years have helped me figure out what works best, so I hope you find my top 7 suggestions helpful. An important point to note before I begin, these tips are for cookies you do NOT intend to ever eat. Keep your cookies out at room temperature, in a room with a dehumidifier on, for at least one week. Alternately, place your air-dried cookies in a dehydrator at 95 degrees Fahrenheit for an hour to five hours. It will depend on the size of your cookies, the thickness of your icing etc., so a little experimenting with this may be necessary. 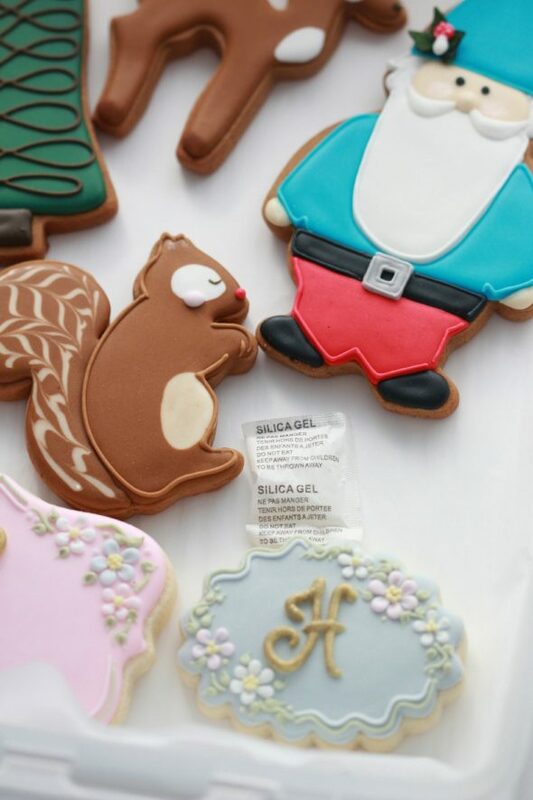 If they get extremely dried out, the royal icing can separate from the cookie and slide right off, so no need to keep the cookie in the dehydrator too long. A good rule of thumb is to dry the cookie out until it becomes hard. Keep the cookies stored in a box, or preferably, an air tight container such as Tupperware, layered between pieces of parchment paper. Layering with bubble wrap is an option as well, especially if you’re travelling with the cookies. Just make sure the bubble wrap does not touch the cookies. Parchment paper should always be the surface the cookies touch. Place a dessicant pack in the box they’re being stored in. I use dessicant packs from new shoe boxes as the cookies will never be eaten. Store your packed cookies in a cool, dry place. Preferably a place where they won’t be moved often. An optional idea – Lightly spray your cookies with clear lacquer or shellac you can find at Michael’s Craft Store or with hairspray. I should note that I do not do this as I find simply drying them out (Points 1 – 4) works fine for me. If you live in a warm climate and are planning to display cookies for any reason though (such as cookies used as Christmas ornaments), make sure you follow this step. “Untreated” cookies will attract ants or other little critters. Another option; vacuum seal your cookies and freeze them. This is another method I don’t use, as I find cookies kept in a freezer can be affected by the moisture and bleed etc. This is perhaps a good option if you’d like to keep your cookie to eat in the future. You can find more info. on freezing cookies in this post here. This one may not be a practical tip in terms of how to store your cookies, but certainly makes a difference if you have curious people in your household or business who may decide to take a bite of a very old and perhaps toxic cookie (if you’ve used hairspray etc.). With all these guidelines, I cannot guarantee humidity won’t seep in, causing the icing colors to bleed, especially if you’ve used a lot of food gel coloring in your darker colors such as red or black, but these tips should help! (See this post on avoiding bleeding and this one on avoiding spots on icing). 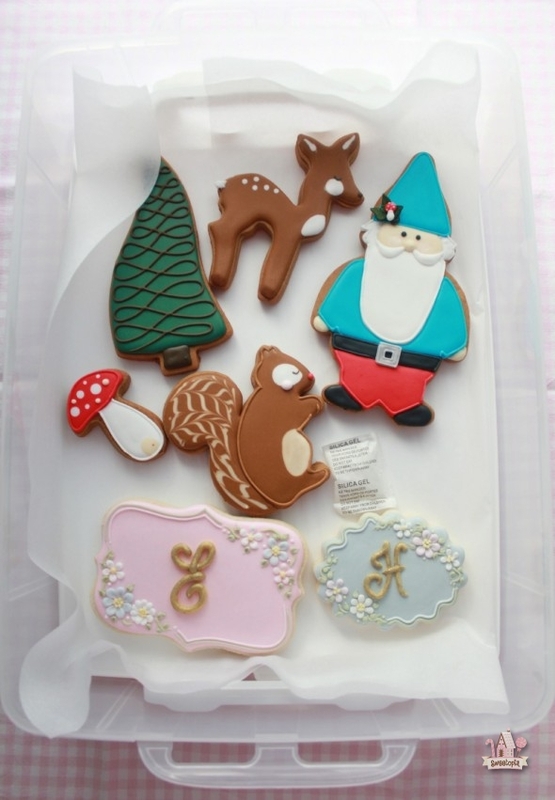 Here are a few examples of cookies I made a few years ago which I keep as display boxes when I teach cookie decorating (I need to dust the display boxes – just noticed that! ), and they’re still fine. 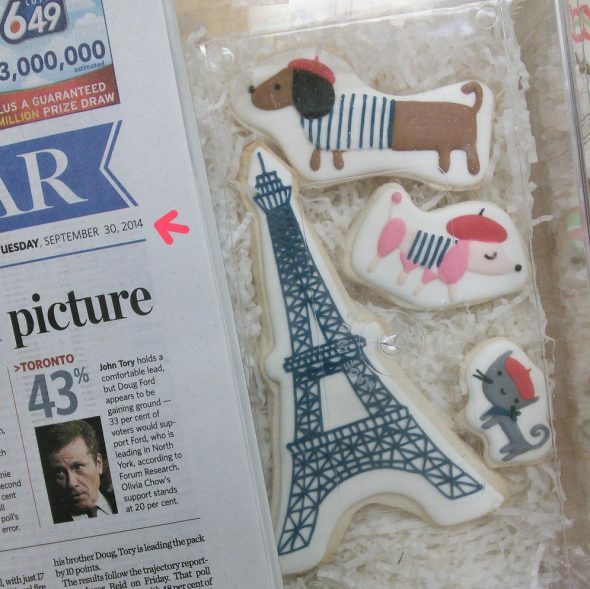 You can see the original post for the Paris cookies (January 2012), here, and for the nutcracker (November 2010), here. (Sorry about the phone pic quality!). These are just a few of my favorite tips which would have helped alleviate some frustration had I known them when I first began storing cookies. If you have any tips which you’d like to share you’re welcome to leave a comment below. I’ve had customers that have saved a cookie from their order and framed them. 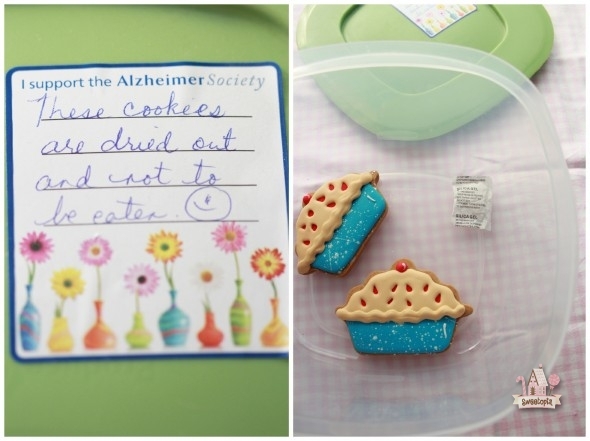 These are great tips for preserving keepsake cookies! I’m not surprised, Paula, your cookies are beautiful. 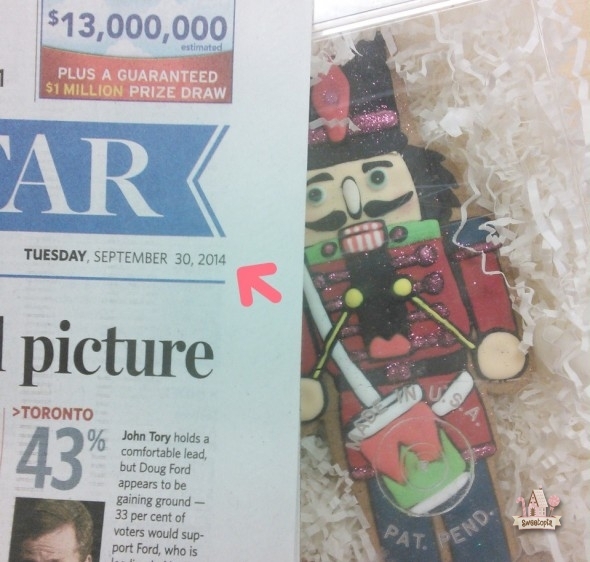 What a great idea btw… framing the cookies! A dehumidifier is excellent too. Do you have one Maria? Much love and happy Wednesday to my girl abroad! Great post! Very helpful! Thank you for all the tips. Have a nice day! Thanks Marion, I appreciate the time you put in to make us all look good! I usually never have left-over cookies or think to set a few aside for keepsake, but it’s good to have this info in case I do in the future. Thanks, Marian! Marian, these are great tips! thanks for sharing! I am needing to know how to store cookies which you do plan on eating? When I have large cookie orders, say 200 cookies, due Saturday, 2 weeks from now, when do you recommend I begin baking and decorating them. 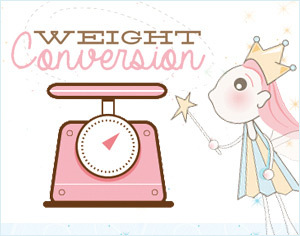 I know this is dependent on how fast I decorate, the details, etc. but in general. I started baking them the weekend before. I stored them flat in an airtight container in the refrigerator until I was ready to ice them. I would love to know your process for holding cookies such as in this instance. I read your blog daily and I have learned a great deal from you. Thank you very much for sharing your knowledge. This is the first time I have ever written to any blog. I would store them in large containers (plastic tupperware), like you mentioned, layered between sheets of parchment paper. I don’t put them in the fridge if I’m decorating them the week before. 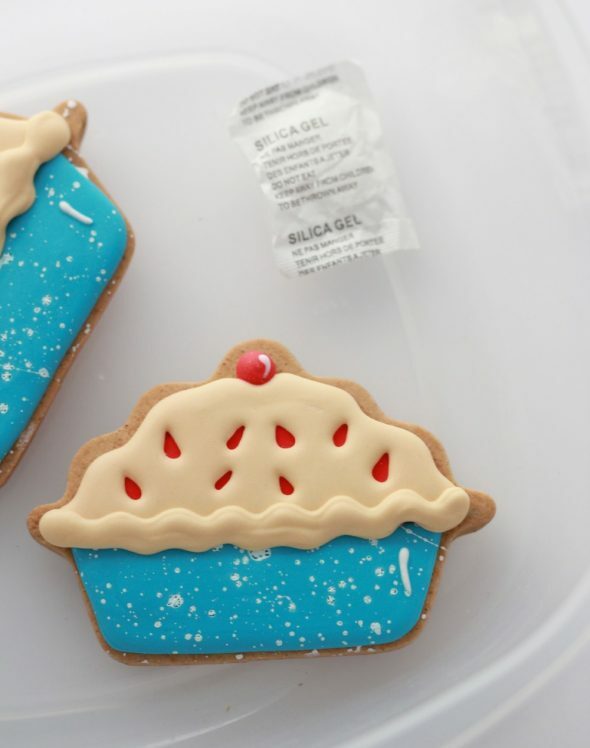 The fridge can add moisture to the cookies, making them soft before decorating, and causing icing colors to bleed more often. If you did have them in the fridge for a while, I would let them sit out at room temperature for at least a few hours before decorating. Would this process work for non-decorated cookies? I sell cookies at farmers markets in the summer and they melt in the sun. I was thinking about making some just for display and keeping the real products out of the sun. My cookies have a lot of chocolate in them. That sounds like a good idea… keeping a few out as display (Maybe somehow also in the shade and sheltered). I did everything you suggested to prepare the cookies.At the suggestion from Michael’s,I sprayed the items with clear Acrylic Matte Coating. That was 2 months ago. They are still tacky. Could you please give me any suggestions to salvage my my project. I’m not to handy with the computer and would be happy to use a land line to discuss my problem. (423-753-5892) THANKS! I’m having a problem getting the clear acrylic matte coating to dry I applied to some Xmas sugar cookies. (3 months) I basically followed your recommend procedure and those from Michael’s. Any help to salvage the project would be helpful……Thanks! Hmm, is it humid where you are? Try putting a dehumidifier on in a room, shut the door and windows, and keep the cookies in there for until they dry. Hope that helps! If I choose to spray my cookies with clear lacquer or shellac do I still have to dry them out as suggested in step one ? Hi there!! I have been trying to preserve these woodland animal cookies from my grandson’s baby shower thinking it would be a clever way to save them as keepsakes. I am trying to use them for a crafty display in sort of a mountain shaped shadowbox frame that looks like a forrest inside. I have had terrible luck with preserving the cookies for the project. I don’t have many to work with as I have failed on many through trial and error. I only came upon your recommendations now. I had tried other recommendations on the internet. I was wondering if there are any hard, dried out woodland animal cookies that you would have that you would so graciously sell to me? Thank you so Very much! Thank you for the tips. I am making cookies as keepsakes from my Grandson to the rest of his family. As these will be used for years to come I am grateful for the shellac idea. I live in South Texas and it is very humid. So I plan to shellac and then resin over them. I wasn’t sure what to seal them with (as resin takes along time to cure) so they don’t bleed badly. Then I will resin and see how they do. Thank you so much for the tips. All the best Leigh and please let me know how it goes!